Kathi is happy to be joining our team in 2018 as the patient coordinator. She has a bachelor of science degree in Business from Missouri State University in Springfield. Before joining our team to help with scheduling, check-in/out, and talking to patients when they call the office, Kathi worked at Crowder College. She loves helping patients feel welcome and right at home in our dental office. Kathi lives in Pierce City with her husband. The couple are the proud parents of two daughters and grandparents of three grandchildren. In her free time, Kathi enjoys going to classic car shows, garage sales, and flea markets. She also enjoys the outdoors and hiking. Her love of mother nature also extends to woodland creatures – she raised a baby dear from newborn to young adult before setting him free. Erin is Dr. Olson’s daughter, and she has a lifetime of experience with dental care! She’s excited to be joining our team in 2018 as our billing and insurance coordinator. She will be happy to help you with all of your dental insurance, billing, and financing needs. 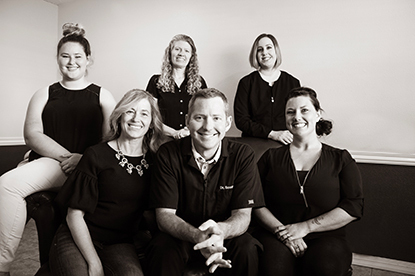 She loves working with everyone on the team to create a comfortable dental office environment. 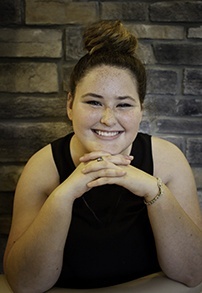 Erin is currently enrolled at Ozark Technical College in the A+ Scholarship Program and will be transferring to Missouri State University in the fall of 2019 to continue her studies in art education with an emphasis in photography. 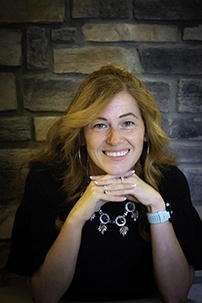 She even put her photography skills to work by taking our new staff photos! In addition to photography and hanging out with family and friends, Erin also enjoys hiking and rock climbing, and she’s even climbed several 14ers in Colorado. You may remember Allison who previously worked as our patient coordinator before she returned to school to earn her dental hygiene degree. 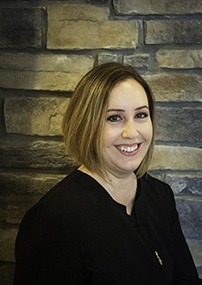 When our beloved hygienist, Lori, retired in 2018, we were excited to welcome Allison back to our team. She really cares about patients and ensures they leave our office with a smile. She earned her associate of applied science degrees in dental assisting and dental hygiene at Ozark Technical College. She also maintains permits in local infiltration and block anesthesia as well as nitrous oxide administrations. She is certified in CPR and the expanded restoration of fixed and removable prosthodontics. A native of the Miami and Hollywood, Florida area, Allison is married to a Springfield native who she met while working for United Airlines in Chicago. The happy couple are the proud parents of two sons who keep them both very busy. She loves spending time with her immediate and extended families, especially taking regular trips to visit her family members in Florida where they enjoy swimming, snorkeling, and boating. 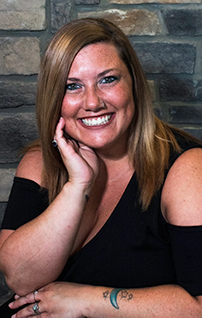 Liz has worked in the field of dentistry since 2014 when she earned her dental assisting certification through the Midwest Technical Institute. In fact, she previously worked with our team before taking some time at home with her kids. Liz enjoys working with Dr. Olson and the rest of the staff to help patients smile, and her enthusiasm and sense of humor help to keep us all smiling. She specifically enjoys seeing people achieve the smiles of their dreams. In addition to her dental assisting certification, Liz is also certified in CPR and nitrous oxide monitoring and administration. Originally from Wichita, Kansas, Liz and her husband are the proud parents of one son and three daughters. She enjoys spending time with family, date nights with her husband, and keeping up with all of her kids’ extracurricular activities. She is also passionate about helping others and giving back. 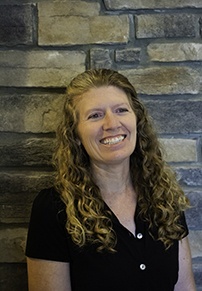 Ruth is responsible for the interior design and decoration for the office. She also helps manage and maintain social media outlets. Ruth also works behind the scenes on projects that keep our office running smoothly. Ruth is a craft aficionado, she loves almost any craft project including floral decorations, scrapbooking, crocheting, and many more. Her most recent love is cake decorating. and is renown for her chocolate cake. She loves to be active, especially with running. She has completed several half marathons and two full marathons. She also occasionally joins Dr. Olson on his biking adventures. Ruth and Dr. Olson have been married for over 20 years and have two children, Mason and Erin.